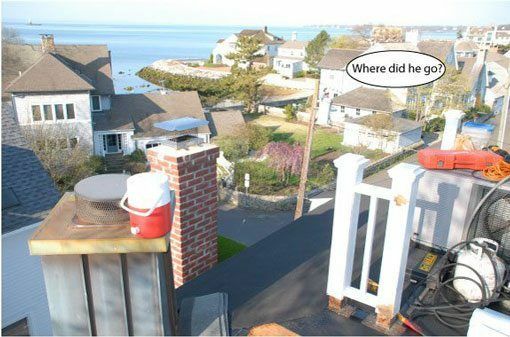 This widow’s walk in Darien, Connecticut was not a typical challenge. A small and high flat roof. There was almost no place to put tools or material. This roof should have taken one day to do, but instead took us five days. They were working about 50 ft up from the ground. After stripping the old roofing material, we nailed down the plywood. We installed a base sheet, in this case, an ice and water shield. This material is five times more costly than the regular fiber base paper. 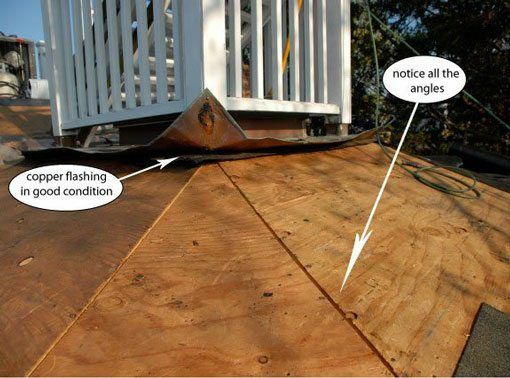 Notice the Ice/water shield is under the flashing. The flashing is all clean and prepared to receive the new rubber membrane. No place to put tools. The roof was also slanted that made it more challenging. The image shows the limited space we worked on. A top view of this small flat roof. the edges were at an angle that made it even more dangerous to work on. The air conditioner took all the space up on this flat roof. We hardly noticed the view while working. 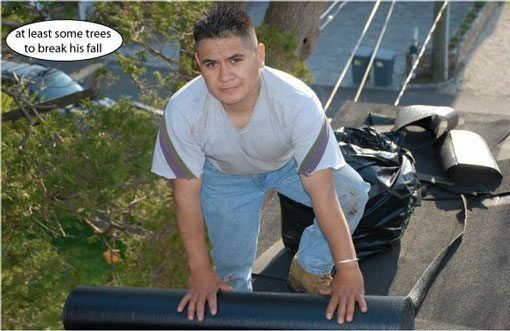 Only when you took a roofing break. lol. 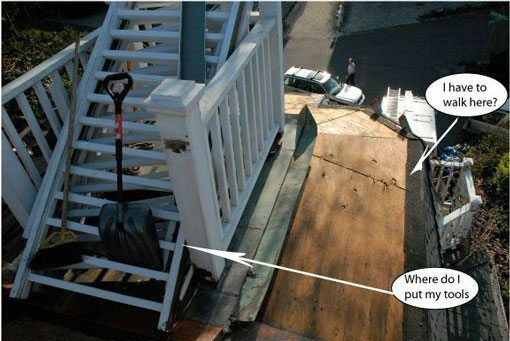 This widows walk was so small that there was barely any room to put the tools. 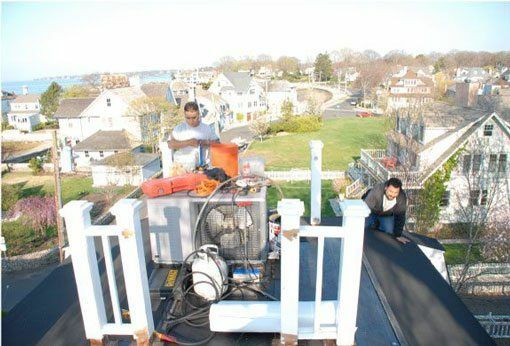 To install a rubber roof or even repair a rubber roof in this situation is very rare. After the ice/water shield is laid down, the flashing is nailed tight over the shield. Then a drip edge is installed on the perimeter. Then the rubber membrane is installed over the ice/water shield. This makes for a roof that will last 30 – 50 years. Ah! Waiting on the cameraman to take the photo. You can see how dangerous it was from this point of view. Small flat roofs like these are not fun to do. Who likes heights? I don’t think I will ever really get used to it. It’s always scary when you look down from a commercial roof that’s very high or when you make repairs on the flat roof high up in the air. 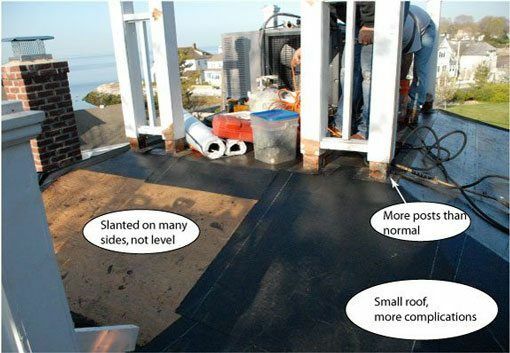 Sitting on the edge of the roof makes one think “What if…” This flat roof took three days to do where if it were a regular roof it would have taken one day to do. Hmmm, nice. Let me get back to business. We cleaned the flashing around the post, stripped all the old roofing away. We installed a peel and stick base paper, the best when a torch down system is used. Let me get back to business. 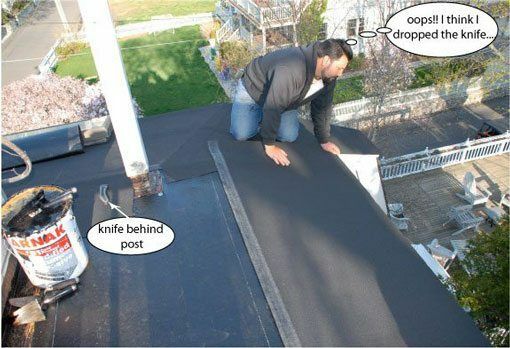 We cleaned the flashing around the post, stripped all the old roofing away. 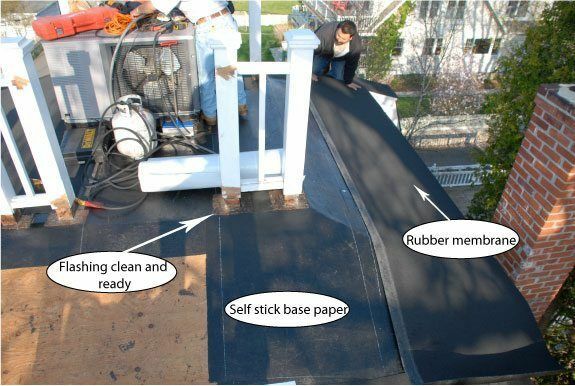 The image shows the installation of a Peal and Stick base paper. 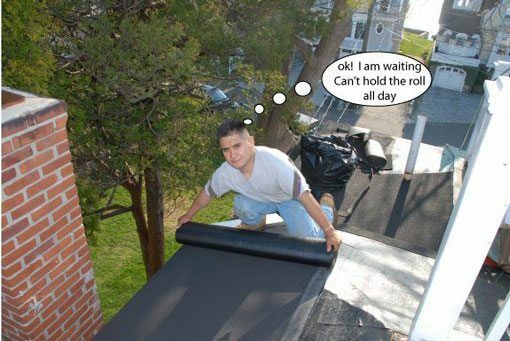 It’s the best for all rubber roofs. This is how small the roof was. 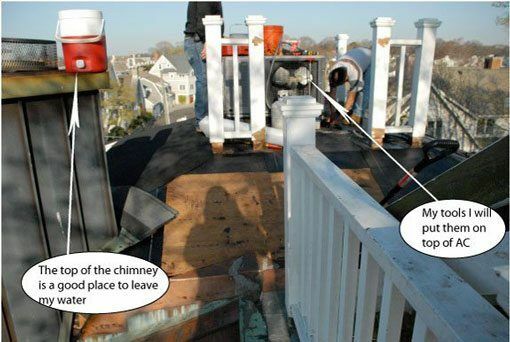 Not an every day roofing job.